In March, I started binge-watching Little House on the Praire as all 9 seasons are available through Amazon Prime. In turn, I've been Googling bits and pieces to find out what is real and what was just Hollywood. Reading Lost With the River dovetailed well as Scoblic provides historical background about her family and the farm she grew up on in South Dakota. I think I also enjoyed the story because often reminded me of my own childhood living on a farm in Indiana. Like Scoblic, I'm the baby of the family. Though I only have 2 older sisters while she has 6 siblings. While my family moved from our farm in Indiana when I was 8, I remember returning home for funerals and to visit family whenever possible. So in many ways, I identified with the author. And this ability to relate to her tales made them more enjoyable. I even shed tears when she recounted her mother's funeral, not because I have experienced it but because I will one day and it touched on my own feelings. Scoblic is a talented storyteller. She says that the men were the tellers of stories, then she would be the keeper of the stories - both those often recounted and those only whispered. But I think she is more than just the keeper. She has relayed the family history with a vividness that draws the audience in - an audience that largely will never know a member of this family. Yet, we feel like we do know them. You can tell she gave each word she penned to paper as much consideration. There is a lyrical quality to the writing. Because of it, the stories have emotional depth. 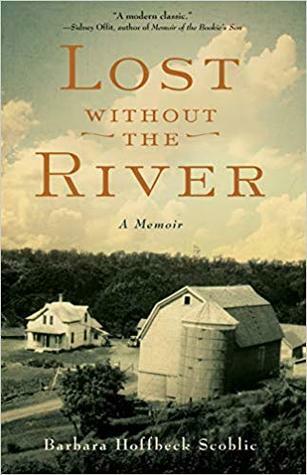 I also think that she has crafted the story in such a way, that even those for whom farm life and small town living is foreign, that anyone can relate to and understand. Barbara Hoffbeck Scoblic might not have a celebrity name to sell her memoir, but it is a story worth reading. It is about a life well lived: a celebration of family and history. 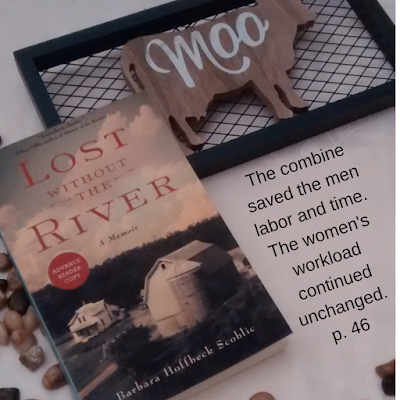 It is a book you don't want to miss. Interesting story; I'm glad this resonated with you Donna. I do like when that happens. I think this would be a very good book. This is interesting. Great excerpt.